Sometimes I blog about trends, hot brands, and chic styles. Sometimes I just want to blog about real life things that I want to wear. Today it's the latter and it's a cozy sweater. That's it. 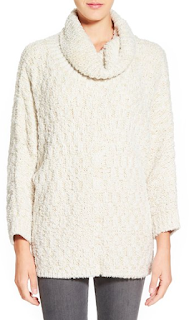 Nothing breaking or game changing here, just a cozy sweater. I wanted something with texture that feels like a polar bear that just took some Motrin PM. Snuggly, warm, cozy. Don't you want to be in this right now? I know. So simple and cozy. 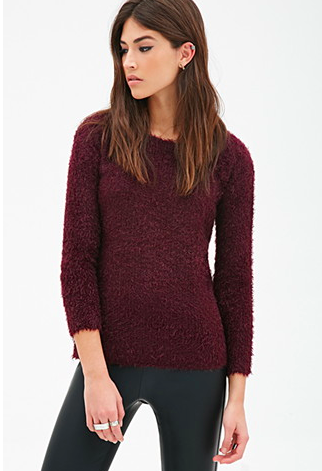 A nubby knit is perfect for winter. I'm doing double the texture and wearing a waffle knit tee underneath. I dare you to get through the day wearing this and no one touches you. 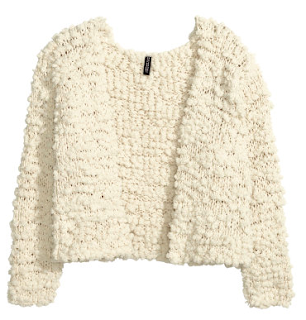 This is a omg let me hug you to get some fluffy sweater. Break out the leggings, lovebugs. This sweater screams winter comfy. For this post I channeled this. Sometimes you just want cozy, fluffy, comfy goodness.